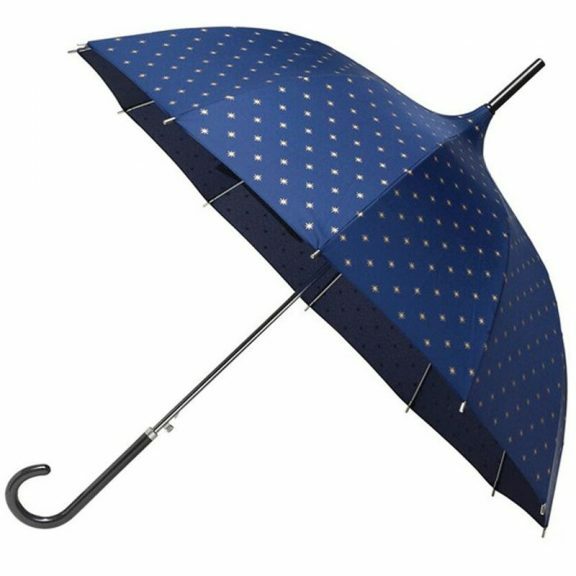 We think that you will agree that this really is a very elegant umbrella, probably one of the most beautiful umbrellas around. 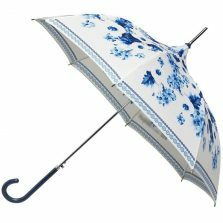 This exquisite pagoda umbrella has a deep midnight blue canopy which is illuminated by a pattern of tiny golden stars. Looking for a really special and elegant umbrella? You’ll be hard pushed to find a more stunning ladies fashion umbrella than this one. 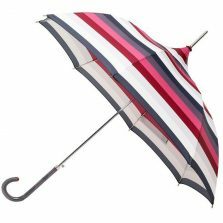 Futhermore, this fabulous umbrella is fitted with a spring loaded auto opening mechanism. As well as this, it also sports a steel frame with 12 strong, super light and flexible fibreglass ribs. It has a full length steel shaft with an elegant fabric covered crook handle. Give this beautiful, elegant umbrella a gold star – oh, wait, someone already did! Lots! The overall length, from pretty crook handle to elegant tip is 90 cm / 35.5″, and when open the canopy width is 90 cm / 35.5″. I’m sure you will agree that this is indeed a very special umbrella – however if it isn’t exactly what you are looking for, why don’t you take a look at some of our others? We have over 700 different styles and colours for you to choose from. Not the umbrella for you? 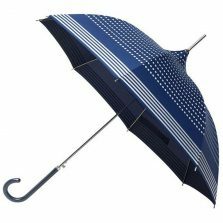 Check out the rest of our range of Fashion Umbrellas!